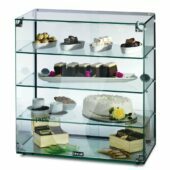 Showcase a range of food products in style with our ambient merchandisers. 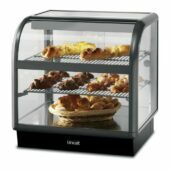 These units are ideal for displayed a selection of food products where temperature is not a concern. 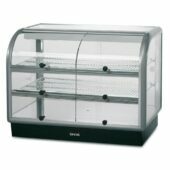 We have a wide selection of ambient merchandisers that are perfectly suited to a wide range of establishments. In particular the Seal 650 series curved front ambient merchandisers boast a large display area, making these units perfectly suited for the display of a variety of breads, pastries and cakes in busy outlets. 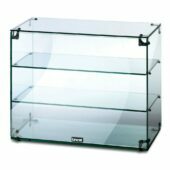 For this range of products there are back service and self service models available. 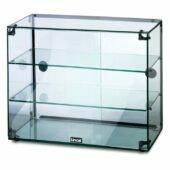 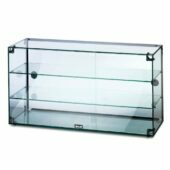 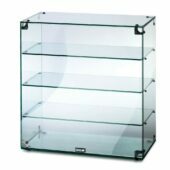 If you’re looking for something smaller then you should definitely consider our smaller footprint glass display cabinets. 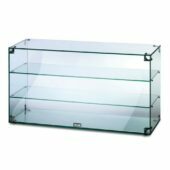 These units are available with an open back design or sliding door mechanism, providing a cost effective solution for the displaying of food and non food items within your business.